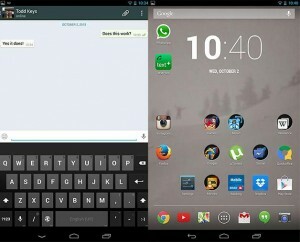 Home » News Android » WhatsApp on your tablet! WhatsApp on your tablet! Well, I made the plunge. I got a new Nexus 7 tablet and have been spending the last little while transferring books, music, apps, and everything else over to it. However, one of the apps I use the most, WhatsApp, was a little trickier for me to get than others. By default, WhatsApp isn’t compatible with tablets, but there are work arounds that you can do to make it work and while some involve some complex stuff (such as rooting your device), I found one method that works relatively good. Other than downloading another app and installing an .apk file yourself, this one is pretty straightforward. WhatsApp is my go-to messaging app on my phone and I really wanted it on my tablet. 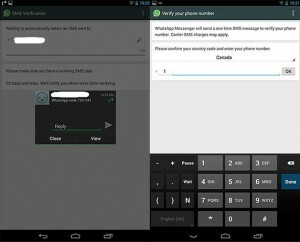 Just as a heads-up, this way will create a new WhatsApp account unique to your tablet. If you want to spoof or takeover your account from your mobile device, I’ll outline that as well at the end of the article. 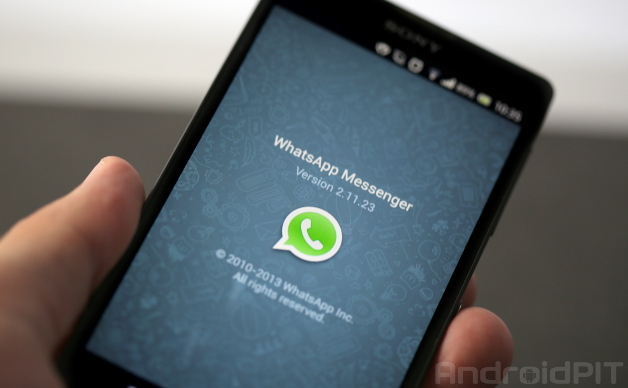 Download the WhatsApp .apk from the WhatsApp website. In order to do this and to not be redirected straight to the Google Play Store, either use Chrome or Firefox as your browser and then request the Desktop site. From there, click on the Android download and the .apk file will be downloaded to your tablet. Whatever browser you’re using, make sure to visit the WhatsApp website in Desktop mode. Ensure that you’re able to install Unknown Sources. To check if you are, go to Settings > Security > Unknown Sources. This will allow .apks that aren’t downloaded directly from Google Play to be installed on your devices. ALWAYS make sure you know what you’re downloading and installing. Install TextPlus to your tablet (or a comparable app that is available in your region). 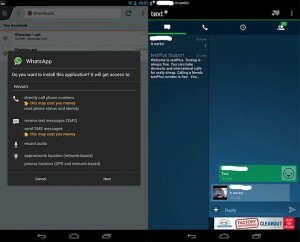 This will allow you to get SMS messages on your tablet which will be required to authorize your tablet to use WhatsApp. Send out a text message to your own phone (or a friends) from TextPlus to get your devices number. Alternatively. You can head to Settings > Contact Info and find out the number for yourself. Using TextPlus (right), or a similar SMS app, to get a number for your tablet. Follow the instructions. When it asks for a number to authorize the application, enter in your TextPlus number. While it won’t authenticate automatically, you will receive a text message with a code that you can use to authorize the app. While it won’t automatically detect a SMS to your tablet, you will receive a SMS with a code you can enter to bypass this. 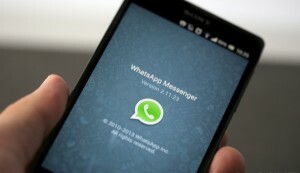 Once authorized, set-up your WhatsApp account as per normal. Voila! WhatsApp on your tablet! And voila! WhatsApp on your tablet! Like I said above, this will install WhatsApp as a BRAND NEW account on your tablet. If you’re looking at just transferring over WhatsApp account from your current device to your tablet, just use your normal telephone number in step number 6. The authorization will follow the same steps, but your account will be transferred over and it won’t be active on your smartphone anymore. If you want to bring over your chat history, check out our previous article on how to do that. There are different methods of getting around using a WhatsApp on your tablet, but most involve having a rooted tablet and rooted Android phone. I found that this one was simple, worked quite easily on my Nexus 7, and allowed me to get one of my favourite apps. 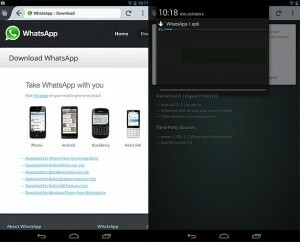 Have you installed WhatsApp on your Android tablet? If so, tell us in the comments how it went!